Don't answer me now. I will assume that you are trying to make the world a better place by creating an amazing tool. Most website die out because they were built for no apparent reason. In part 1, I will introduce all the tools we need to set up a foundation from which our website will be created. Security will be very briefly touched. At the end of this part, you will be able to select a hosting company, choose an OS and install all the essentials to have a website running. Note: For this tutorial I use vim as a text editor. You can learn vim just enough to be dangerous right here. Different components of a website. We will be looking into building a website from scratch so you might see some things here that are not usually covered on beginners tutorial. Yes, you need an operating system to run a website. Don't run away yet, I promise you this will be easier than you think. This is still a beginners tutorial and it should be fairly easy to follow. A hosting service will allow you to make your website accessible to the world. Basically you will "host" your code on a server and this server (provided by a company) can be accessed via the web. For a small project like this, there is no need to shop for a hosting company. 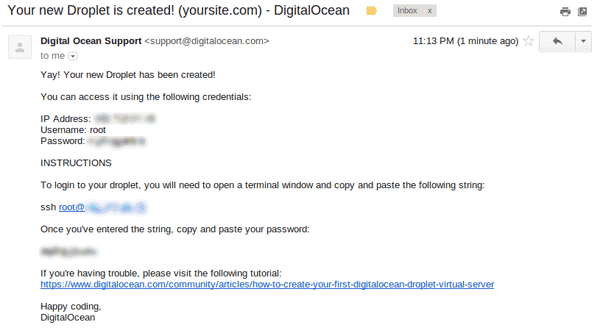 Digitalocean will do an amazing job and for a very affordable price. Like it is advertised, you can spin up a new VM in a matter of seconds. All we need is a fresh instance of Ubuntu Server OS and we are good to go. 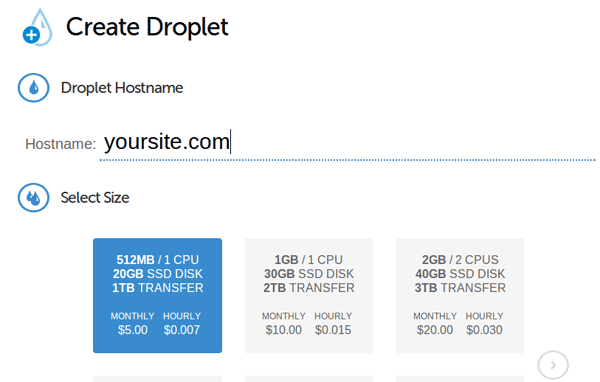 With Digitalocean you only pay for the time when the server is used. So feel free to go there right now and create an account with them. and we will leave the default 512MB Ram and 20G SSD storage, that should be plenty. Select Ubuntu as our OS and the version will be Ubuntu 12.04 x32 (Or the most recent). 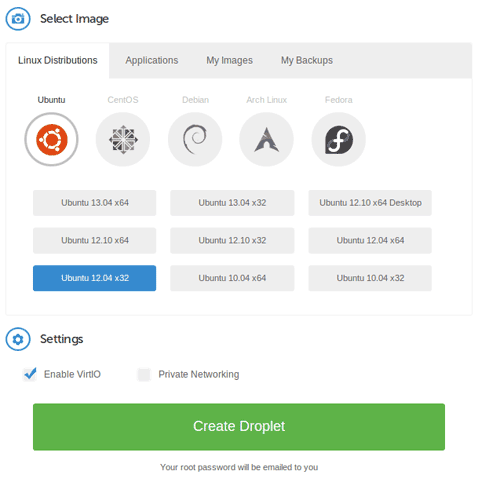 Click on create droplet to create the VM. It only takes a few seconds for the droplets to be created. In the meanwhile head over to your email. You should receive a password from digital ocean. Great! Our server is now ready. You can connect to it using the console access button, but I would recommend using a terminal. If you are on a windows machine, I recommend using PuTTY for free. 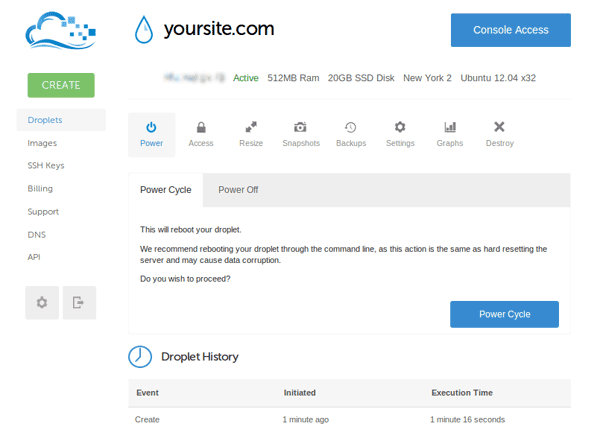 The server ip can be found in the email or on the droplet summary page. The password is in the email. One more thing that will be crucial is to install a good text editor. My favorite is VIM you can use whatever that you are familiar with. We have successfully installed a working Ubuntu Server that is available to us via the web. Ubuntu is a flavor of the Linux operating system. It is very easy to configure and best of all, it is free. OK, we are now set. We have a machine that we can connect to and we can set up the basic tools to host our website. For security purposes, we will setup a new user account and disable remote log in using the root user. Awesome now we have a new user with sudo privileges, before we disable remote login for the root user let's change the default port number for connecting with ssh. The port number is located in the sshd_config file. The web server, as the name suggest, will be serving your files through the web. It will handle HTTP connections to our server and run the appropriate code to display the correct page to the user. We will use the most popular one, Apache. This mean apache has been successfully installed. You can edit it and see how the page updates in the browser. We didn't install all this just so we can serve boring static pages. Let's install a programming language. Save it and go to http://<your server ip>/index.php you should see a nice little form and when you enter your name and press enter, the name is displayed on the page. There! 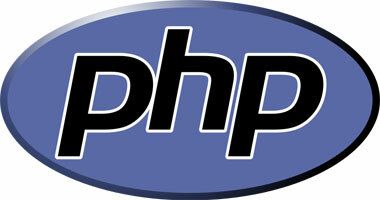 This is a very simple test just to make sure php is working correctly. The data base will be the repository where all your website data will be stored. This can include a blog post, users profiles, tweets, products info, or any information your website will need. We will use MySQL for this. You will be prompted to enter a root password. Make sure you use a good password and please write it down, we will use it to connect to our database. We now have a fully functional server running LAMP (Linux Apache MySQL PHP). We installed MySQL as our database to store our website information. On the next tutorial, we will learn more about apache and mysql by setting up a WordPress blog.